Our youth group activities and relationships build on our shared Baptismal Covenant which calls us into relationship with God; to share our faith with others through prayer, word, example and service; and to strive for justice and peace. 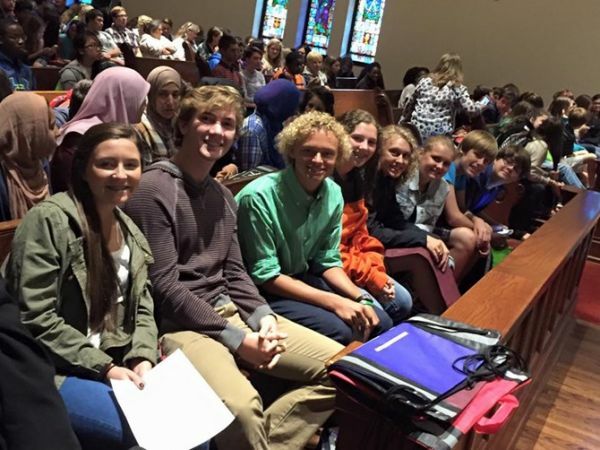 Youth meet on Sunday mornings in Junior and Senior High groups for Church School and then together as the Saint Paul's Youth Group on Sunday afternoons from 5 - 6:30 PM, unless otherwise noted in the schedule. Confirmation is open to all people who wish to confirm, re-affirm or be accepted into the Episcopal Church. Confirmation classes are open to all youth in grades 8 and above.